Funeral announcements are a way to inform all the deceased family, friends, and acquaintances of the recent passing of your loved one. 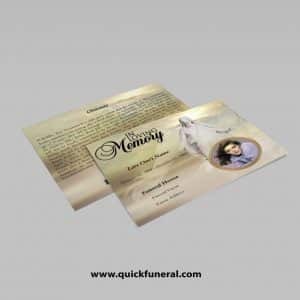 It can be as formal as a printed or engraved announcement to the funeral service or a simple email notice. Templates are a great timesaver for this type of funeral notice. 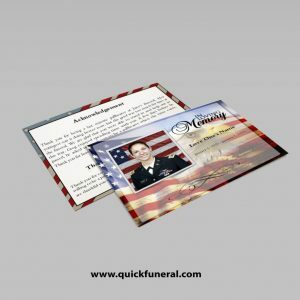 Searching for a US Army Funeral Announcement template that is easy to print and amass and that has a cutting-edge look? This US Army Funeral Announcement Template is the Perfect decision that is having a measure of 4.25”x 5.5”. Searching for a Catholic Funeral Announcement template that is easy to print and amass and that has a cutting-edge look? This Catholic Funeral Announcement Template is the Perfect decision that is having a measure of 4.25”x 5.5”. Searching for a Wooden Funeral Announcement template that is easy to print and amass and that has a cutting-edge look? This Wooden Funeral Announcement Template is the Perfect decision that is having a measure of 4.25”x 5.5”. Searching for a Plain Funeral Announcement template that is easy to print and amass and that has a cutting-edge look? This Plain Funeral Announcement Template is the Perfect decision that is having a measure of 4.25”x 5.5”. There are funeral announcement templates created in Microsoft Word, Publisher or Apple iWork Pages. These type of templates allow you to enter your customize text, photo and then print the announcements. They are generally sent via U.S. mail or hand distributed. 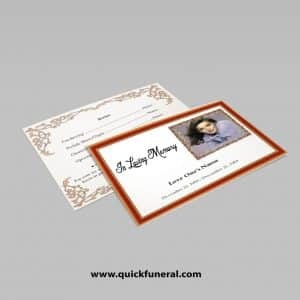 The downside to creating the funeral announcement with this type of template is the cost of postage, printing and the time interval it will take before the recipient receives it. Funeral templates for programs and services will help you get through the planning process a lot easier than if you’re starting from scratch without really knowing what to do. Today, the most cost-effective way to inform everyone is to send out email notifications of the death. 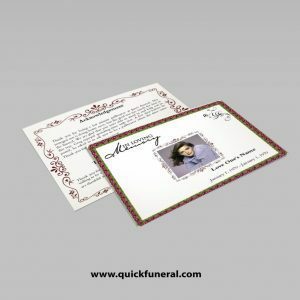 If you would like to send a more creative email notice, you can send it with a funeral announcement template. These types of templates allow multiple recipient names with a beautiful photo image alongside the announcement text. There are website resources that enable you to send a free funeral announcement template just by registering your name and email address. Once registered, you can select a type of ecard which resembles somewhat of a postcard. This type of ecard template does have word limitations since it is only meant to accommodate a funeral announcement and not intended to be used for a lengthy letter.